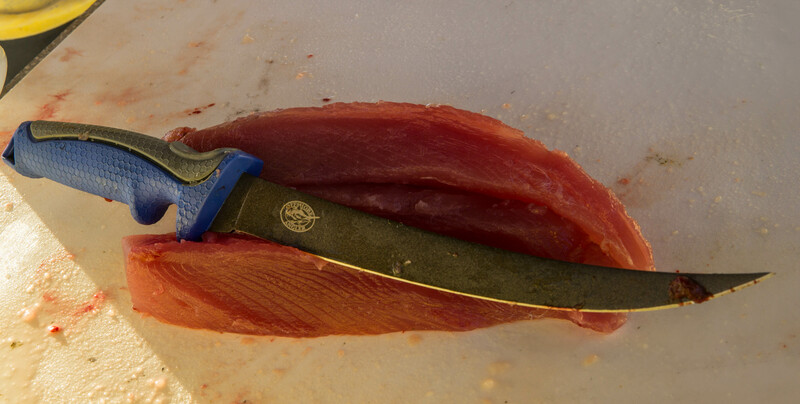 These new Offshore Angler knives are top-notch. They’re constructed from premium German stainless steel, and have an Armor-X coating that won’t rust. The handles are also made from injected molded rubber/plastic for great grip. 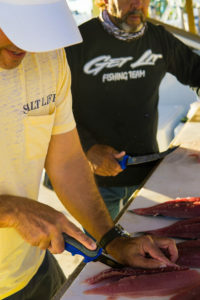 I just used both these knives to clean a boat load of mahi-mahi and blackfin tuna, and I especially like the index finger slot and upper thumb rest for leverage. 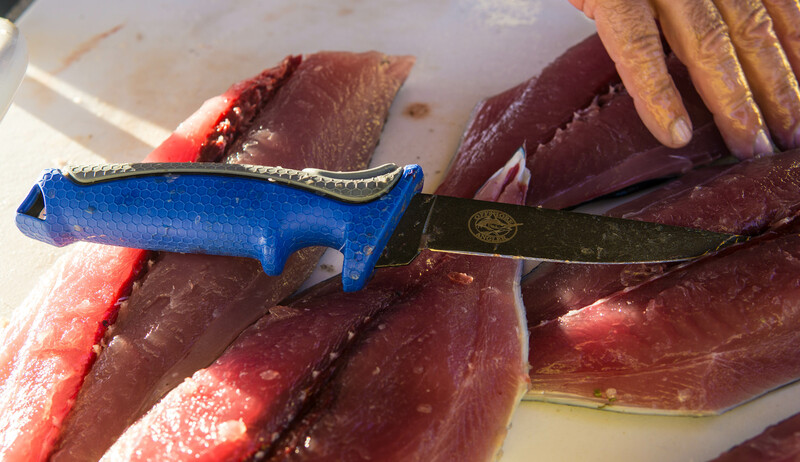 Although the bait knife is called a bait knife, it is great for filleting smaller fish, and provides great control. Also, I find that these knives have the perfect amount of flex, so that you can really get close to the bone, and not waste any meat. These are extremely tough, durable, premium knives! This entry was posted in Uncategorized on November 13, 2017 by admin_PMNBC.